Derry Church, Pennsylvania, which later became known as Hershey is the home of the Hershey Company, one of the oldest chocolate companies in the United States and the largest in North America. 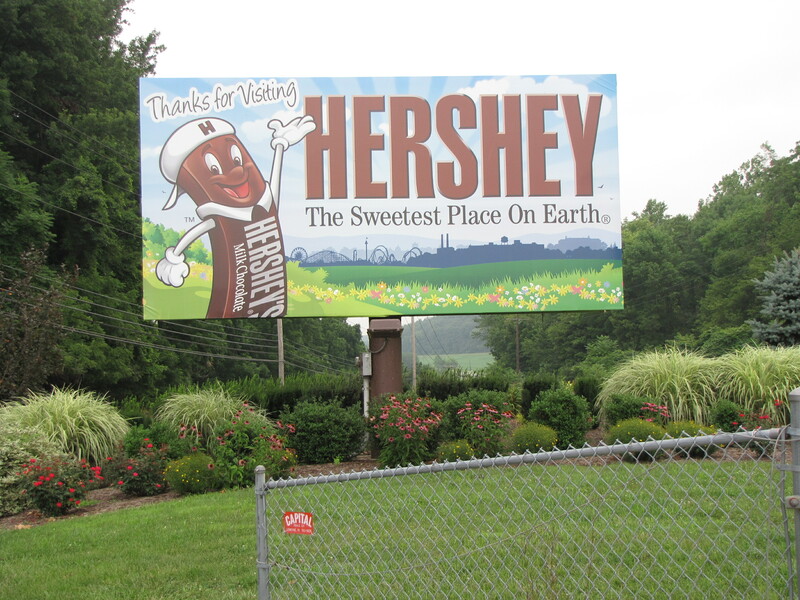 The company was founded by Milton Snavely Hershey in 1894. Originally the chocolate company was a subsidiary of Hershey’s Lancaster Caramel Company. It wasn’t long, though, before the chocolate confections that Hershey created became the best-selling chocolate products sold in America. Milton Hershey, however, was not always a successful candy maker. His first foray into candy making was a flop. After six years in Philadelphia running a candy shop, Hershey moved back to his hometown of Derry Church to start the Lancaster Caramel Company. The company grew like crazy and in 1900, Hershey sold it for one million dollars, which gave him the money to start his very own chocolate factory three years later. In 1907, Hershey created a new chocolate he called the Hershey Kiss. The chocolate bars and the kisses were a huge success. Other candies were added to the line: Mr. Goodbar in 1925 and the Krackel bar in 1938. Another industrious chocolatier started his business in Hershey, Pennsylvania—Harry Burnett Reese. Reese first worked for Milton Hershey as a dairyman but developed his own line of assorted candies including the very popular Reese’s Peanut Butter Cup, which was created during the rationing years of World War II. Because his peanut butter confection took less sugar he focused his efforts on perfecting and marketing it during the war. It was a huge hit. 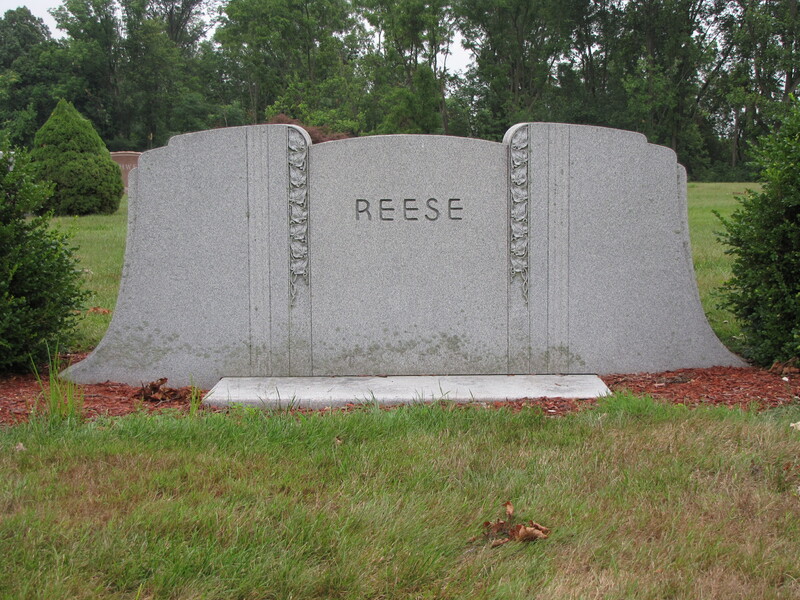 After his Reese’s death in 1956, his six sons ran the business until they sold it to the Hershey Company in 1963. 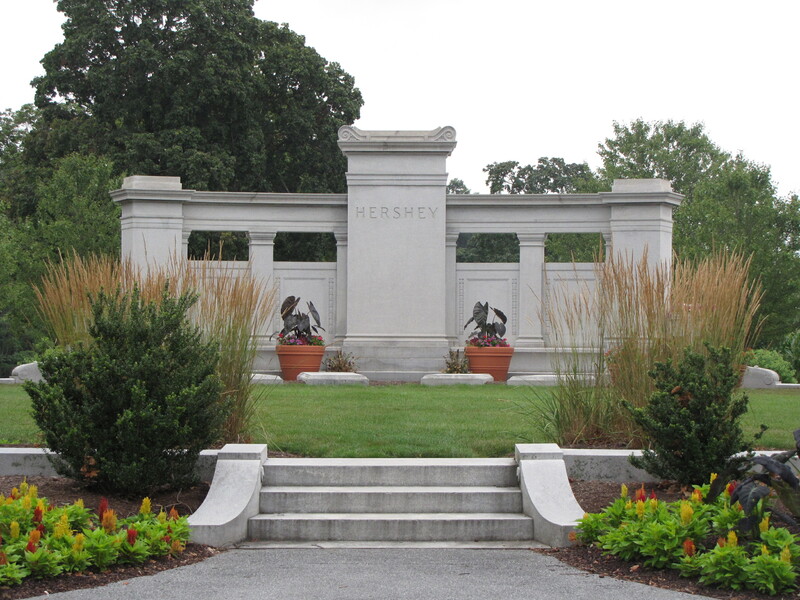 In 1917, Milton Hershey established a cemetery in Hershey. 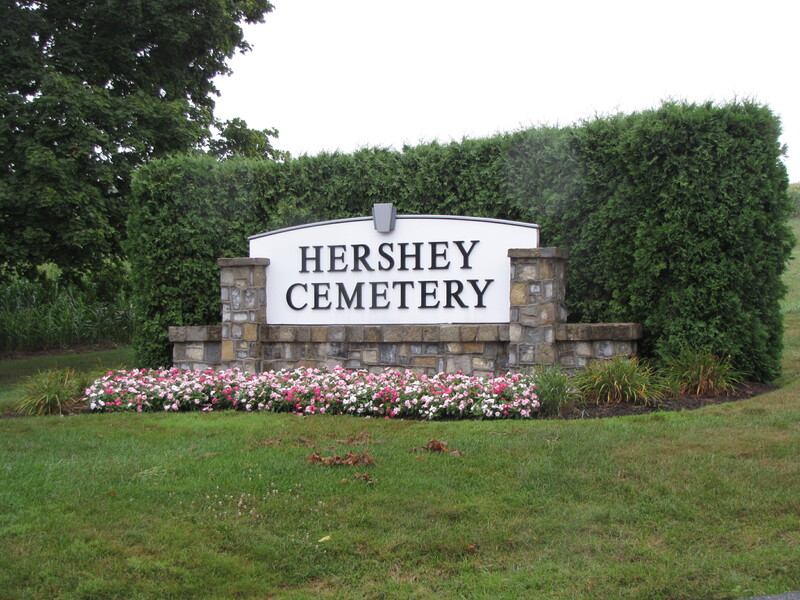 Both chocolatiers are buried in the Hershey Cemetery in the city they both helped to establish as the Sweetest Place on Earth!